I decided to hire a coach for Cyclocross as I found myself loving cycling even more. I started working with Julie Young in late spring 2014. I had really come to love Cyclocross and wanted to get faster to move up into Category 3 with the goal to someday compete at Nationals. Prior to working with Julie I had been doing some crossfit and recreational riding, but nothing focused on real improvement. My goal with Julie all along has been the 2015 cyclocross season and I have been focused on improving specific races so I can earn the much needed USA Cycling points to upgrade categories. The training was a shock to my riding and body. 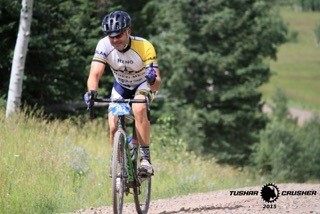 I registered for the Crusher on the Tushar for fun to ride with some friends and continue my training. After 70 miles of gravel and pavement with 11,000ft of climbing I felt surprisingly good. The bike fit and all the training I had been doing that was focused on the fall Cyclocross season had made the hardest ride I’ve ever done, enjoyable. Years of recreational riding around the Reno/Tahoe area were fun, but had I done the Crusher without the experience and fitness I gained from training with Julie, I would have suffered. It was this realization after the Crusher that really changed my outlook on having a coach to help my riding! Equipped with the tools from Silver Sage services including physiologic testing and bike fitting, plus the workouts that Julie Young provided for me have helped me to really enjoy riding. It makes that extra 10 miles feel a ton easier. It makes exploring gravel roads around Tahoe on your Cyclocross bike better and faster. These benefits were never a target of mine when I started working with Julie Young but they make every pedal stroke more enjoyable. The Journal Jog is steeped in heritage; in fact, this year’s event is the 47th annual edition, and it is Reno’s oldest footrace. 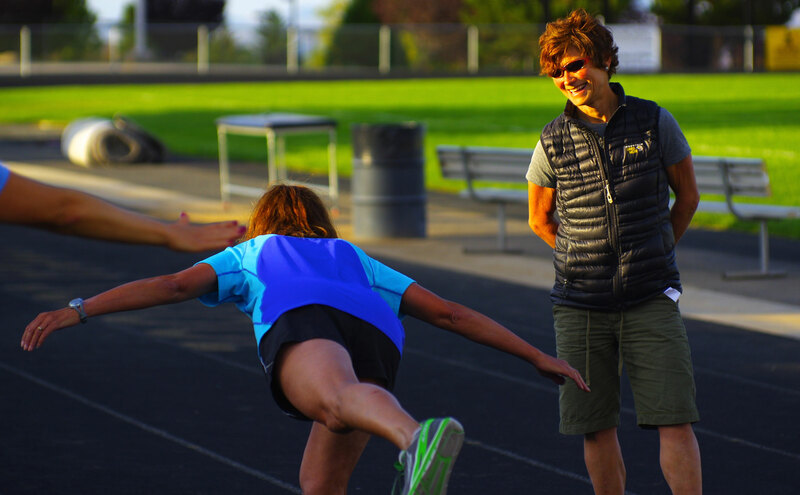 So many of you may be approaching this event as seasoned, experienced runners planning to improve performance (and stay injury-free, of course) while competing at the top of your game. There should be a clear objective to each and every training session, as well as an understanding of how that relates to the goal — in this case, optimal performance in this 8K event. Empowered with this understanding, you can train more purposefully, which equates to more effective training and successful results. Here are a few key components of a training program to get you in shape for the Journal Jog, assuming you already have a solid endurance training base in place. Training the ability to hold a stable, neutral pelvis and spine (to create a stable base to efficiently generate the power from the hips in to the lower extremities) x two-three days/week. Whether you’re looking to complete the Journal Jog injury-free or you want to set your own personal record, Silver Sage Sports and Fitness Lab helps people at all levels of ability. If you have questions about any of these workouts or are just looking for advice, email us at jyoung@o2fitness.net. The Journal Jog is widely known as a great first 8K for new runners. I mean, any race that features a division for pushing strollers and “caterpillars” — and of course, that encourages costumes — is probably a family-friendly, mostly low intensity event. But many beginning runners find themselves overwhelmed as to how, and where to start training, as they gear up for a big race. There should be a clear objective to each and every training session, as well as an understanding of how that relates to the goal — in this case, completion of the Journal Jog. Empowered with this understanding, you can train more purposefully, which equates to more effective training and successful results. Individualize your training and make it relative to your individual circumstances: A training plan needs to be based on your past and current training, current fitness and goals, and then gradually progressed as you adapt (this is very individual) to the training. Gradually build up your endurance toward the 8K distance. Whether you’re looking to complete your first Journal Jog or you want to set your own personal record, Silver Sage Sports and Fitness Lab helps people at all levels of ability. If you have questions about any of these workouts or are just looking for advice, email us at jyoung@o2fitness.net. 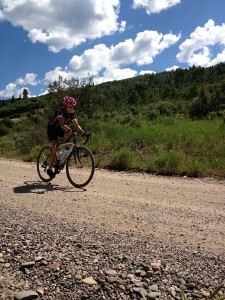 Over the past year, Andy and Sian had consistently committed to a structured, training plan to prepare for Leadville. As a result they each made leaps and bounds in their cycling specific strength and performance, tactical skills and ability to mentally and physically endure endurance. During the training year we also capitalized on the opportunity to optimize metabolic efficiency, a key in ultra-endurance events, by phasing appropriate nutrition with appropriate training. Effective training for Leadville is not based on slogging through more and more mindless endurance miles, but rather developing and improving sport specific strength, power, muscular endurance and pedaling efficiency. Training is equally important for the mental conditioning it affords to tackle the mental demands of the event. So our training included workouts that demanded full mental and physical engagement, including weekly intervals, race rides and shorter XC races. We then punctuated these quality intensity days with simulated Leadville long endurance rides on dirt roads which included sky-high elevation gains. As a dress rehearsal for pacing at Leadville, I paced Andy at the Tahoe Trails 100, which was a valuable learning experience on the importance of racer to pacer communication. Pre-Leadville, the three of us had met on several occasions to discuss and fine tune our race day, game-plan – how we would race each distinct section of Leadville, and how I could best support their efforts. In this process, I realized success at Leadville demanded a strategic approach. It was also a time to consider contingency plans in the case of flats, mechanicals, etc. We also discussed the course of action in the case that either Andy or Sian might not being having a great day. Do we all three stay together no matter what, or does one carry on to go after the coveted sub-nine hour time? We also realized significant time could be gained or lost at the aid stations – so equipped with an amazingly supportive crew, we knew that “grab and go,” would be our motto. Race day delivered unusually warm temps and clear skies. We were fortunate to have an extensive, supportive crew – I think the ratio was at least two to three crew (if you count my dog Lucky), to one racer. We knew with our crew on hand, our aid station stops would be efficient. It was also reassuring to know those who genuinely cared for us, were standing by. Our race start went exactly according to plan, zipping down the still-sort-of-dark, Leadville streets, with 2,000 of our new best friends. We then funneled on to the dirt road, leading to the first, steep, pithcy climb, St. Kevins. It seemed a blistering start for a 103-miler. Once on the other side of St. Kevins we settled in to our rhythm as a three-person team. I set the pace up the climb to SugarLoaf depending on Sian and Andy’s communication to dictate the pace. The top of SugarLoaf led to the infamous Powerline descent. Andy is a Leadville Vet and had spent two weeks leading up to the race reconning the course, not to mention he naturally flies down descents – so we put Andy on the front to find the lines and lead us down. There were, for sure, some crazies on the way down, chomping on our tires from behind, trying to find a non-existent line to gain maybe 10, stupid- seconds. But the key was blocking them out, staying calm, relaxed and composed to focus forward, and not allowing them to pressure or intimidate. We dumped off Powerline, successfully – and regrouped to head across the flats, one of the most pivotal sections of the Leadville course. Entering in to Leadville – I think most racers fixate on those parts of the course, the Powerline and Columbine climbs that have been sensationalized by the movies. But truly the place to make time, is getting in to a strong pace-lining group across the flats (relative – false flats, rolling, etc) between the bottom of Powerline and the bottom of Columbine. Off Powerline, we found ourselves in a strong rotating pace-line of about 10-12 racers. We were cruising across a paved road at about 25mph, our race game plan was right on target. Then quickly and violently things changed – there was the terrible, unforgettable noise of metal screeching across pavement resulting in the traumatic scene of two guys and two bikes, strewn across the road, immediately in front of me. It seemed time stood still, I still see the scene vividly in my mind. But because it almost seemed in slow motion, I was able to somewhat devise a lesser-of-two-evils exit strategy, managing to lift my front wheel over the carnage, sparing the perfect broken collar-bone scenario. But my bunny hop skills still need work, and I was not able to completely clear it, getting bucked to the left and taking a hard hit on my left side head, elbow and hip. In the ensuing chaos – I shewed Sian (who had hit the deck softly, landing on some others in the pile) and Andy on their way. I had thought my day was done. But I collected myself and started pedaling, I had to get to the Twin Lakes aid station, somehow, anyway. As I pedaled, I started catching and drafting others, and before I knew it, I was back up with Sian and Andy. I figured, I would give as much as I could, ride as hard as I could, as long as I could to help them. So from that point it was section by section for me. This crash definitely threw a wrench in our race game plan. It was traumatic and as a result it understandably shirked Sian’s confidence to find and hold a wheel. But this is part of racing, so we mentally regrouped and forged forward. What I realized over the remaining sections of the race was that having a single pacer for two racers in an event of this nature, was not effective. As I noted above, in these events we all typically have fairly defined highs and lows. During the remaining part of Leadville – Sian and Andy were unfortunately on opposite schedules of experiencing those highs and lows – each having strong sections, and challenging ones at nearly opposite times. In hindsight, in our attempt to stay cohesive as a team of three, I think they both seemed to have missed opportunities that would have improved their final times. In reflection, it does seem the truly pivotal sections of Leadville, in terms of putting down good times, are on those flats, outbound and inbound, between Powerline and Columbine. I think too, it is that willingness, every so often in these ultra-endurance events, to push yourself that little bit more, outside the endurance comfort zone to, for example, bridge up to a wheel to get the free, easy, energy-conserving ride on the train. I am so proud of both Sian and Andy – they battled all day, exhibited the mental and physical strength derived from their commitment to year-long, consistent, purposeful training. 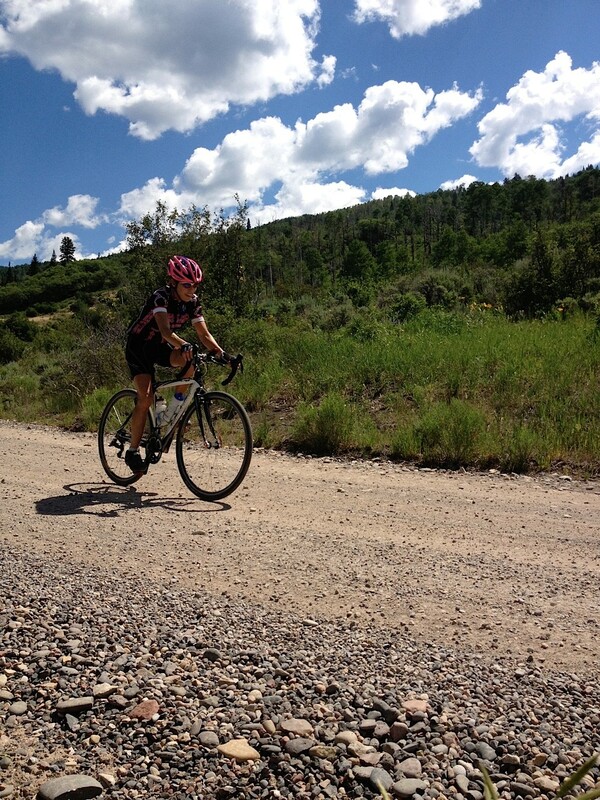 At the end of the day – Sian and Andy left it all mentally and physically on the Leadville dirt. They overcame and ran toward rather than away from doubts and fears, and pedaled themselves through the rough patches. This is a prize far more enduring and powerful than any belt buckle. And with all the adversity both Sian and Andy confronted, tackled and overcame, they both improved their past PRs by over 15min – a monumental achievement in this one-of-a-kind epic event. Preface: Fitting road, cyclo-cross and mountain bikes follows a similar formula; TT and Triathlon bikes depart from this formula. For this article, we will focus on the road bike. I enjoy the bike fitting process because it’s not only an opportunity to help educate athletes about the importance of fit in terms of preventing over-use injuries and improving performance, but it’s also a chance to help them understand that with commitment to consistent off-bike mobility and stability work, they’ll continue to improve their fit and power output. The fit process is more than simply manipulating the parts on the bike; it’s the opportunity to help athletes understand how joint range of motion, muscle length, stability and posture relate to improving the fit and performance. Additionally, it’s also an opportunity to share insights about pedal stroke technique and efficiency. It seems most of us think we just hop on our bikes and go, with little regard to fit. While cycling is low impact, there is potential for overuse injuries when we consider that we’re locked in a position at the hip and the foot, making a repetitive movement over extended periods of time. And we also want to maximize our ability to use the bike as a tool, meaning we want to be properly placed over the bottom bracket in order to recruit the appropriate muscles around the circular pedal movement. But an effective fit is methodical and follows systematic steps. Understanding the individual off the bike is the first priority. The systematically approached bike fit considers what each individual rider brings to the fit in terms of past injuries, muscular length, joint range of motion, how they spend the majority of their day, and their personal cycling goals. We start our fit at Silver Sage Sports and Fitness Lab with an interview to understand the rider’s goals for riding and motivation for the fit (resolve pain or improve performance), followed by a 20-point physical assessment to understand the individual’s off-bike skeletal structure and movement patterns, as well as flexibility and ranges of motion. During this off-bike interview, we also want to understand how the athlete spends the majority of his/her day, as this greatly affects the bike fit. For example, if they sit slumped over a computer for eight hours a day, this is likely the posture we will see on the bike. This off-bike investigation allows us to better focus the on-bike fit. During the fit process, we’re helping the athlete understand how different aspects of the off-bike physical assessment relate and connect to the on-bike fit. For example, we measure hamstring length and hip flexion, which helps determine the appropriate saddle-to-bar drop. Some people come in with an idea of how they should look on the bike as a road racer or triathlete. But an aggressively aerodynamic fit can only be effectively achieved if the rider possesses adequate range of motion/muscle length and the ability to hold integrity of neutral pelvis and spinal posture. That said, the bike fit process is not a one-and-done, but rather an evolution, and through off-bike work of mobility and stability, the fit will continue to evolve and position improve. Once we have gathered this off-bike information, we can finally jump on to the bike. One of the most important starting points of the fit, is ensuring the width of the saddle supports the individual’s sit bone width. Often, people purchase saddles because they like the look – which may provide the right saddle one out of ten times. Fit clients will also argue that “I love my saddle, it feels fine.” Yet when we reference the client’s sit bone width to the current saddle, we discover the sit bones rest off the side of the saddle, placing the body weight on the soft tissues rather than on the bones. Ensuring that the main contact point – the saddle — is appropriately fitted to the client not only ensures that soft tissues remain healthy (blood flow and unobstructed nerves), it also ensures that the bony land marks (sit bones) are squarely established on the saddle, to provide proper upper and lower body alignment. Often when a saddle is too narrow for sit bone width, the cyclist sits crooked sit on the saddle, resulting in one knee coming in to the top tube, while the other one drifts out. Improper support at the saddle often also results in bearing too much weight on the handlebars. Loss of blood flow to soft tissues and nerve damage. We have three contact points on the bike and need to make sure we disperse the pressure appropriately across those three contact points, and within each contact point avoid peak pressure. It reduces the compression and resulting collapse on the metatarsal, thus helping to reduce the innervation of nerves in to the toes. Cleats placed forward equates to pedaling with the toes and heavy reliance on the quads. Bringing the cleat back allows us to share the load and better recruit the glutes in the pedal stroke. It creates a more rigid lever in the foot and more effective power translation in to the pedals. We set the rotational aspect of the cleat placement based on how the athlete’s foot naturally hangs. We then ensure that the natural is the rider’s neutral and there is a little float on either side. We have two fits we offer: optimal and accommodated. The optimal fit places the rider in system-determined neutral range of flexion. For example with the knee extension at the bottom of the pedal stroke, we place the rider in approximately 30 degrees of flexion, knowing that the safe window of knee flexion is 27-37. We recognize that cycling is dynamic and, for example, as we climb we may push back on the saddle, reducing the knee flexion, and as we move forward on the saddle, across the flats we increase this flexion. This being the case, when the rider is seated on the saddle, where they spend a majority of their riding time, is at either end of this safe, knee-flexion range. In an accommodated fit, these ranges are modified in order to accommodate an individual’s current pain or restrictions in range of motion. So for example, if a fit client comes in with a knee replacement, we might consider moving them slightly farther back than the deemed neutral fore/aft position to help alleviate the femur-to-patella compression. Once the saddle height and fore/aft have been established, then we dial in the reach. The saddle height and fore/aft has more tightly determined rules in order to protect the knee and optimize muscle recruitment. But the reach is where we can accommodate issues of inflexibility, injury and pain with varying degrees of stem slope and length. But ultimately reach rests on the ability to establish the sit bones, find neutral pelvis and spine and engage with tummy up and in, and maintain that neutral while hinging at the hips to reach the bars. The saddle provides the support, but the trunk and pelvis provide the stability so the arms and hands remain light. It has been interesting to me to realize, more and more, the absolute importance of posture in the bike fit and optimizing power output. As cyclists we fixate on the legs, but it must start with pelvic and spinal posture. In fitting, one of the greatest complaints is lower back pain. In nine out of ten times, this is a result of sitting on the bike with a posteriorly tilted pelvis and curved spine. This not only leads to pain and over-use injuries, it greatly inhibits power production from the hips in to the pedals. The key to resolving lower back issues and improving power is finding neutral pelvis and spine, and hinging at the hips to reach the bars. Single-leg pedaling drills. These help us — as fitters — to understand the individual’s motor skills and strength left to right. It helps the athlete understand how they can polish their pedaling technique to improve efficiency. During the single-leg pedaling drills, we discuss our views on how to utilize the ankling technique around the pedal stroke. While there is no absolute and this varies with each individual and based on terrain and intensity, we stress that for all joints not producing power, it is optimal to maintain a more neutral position, which goes for the ankle as well. We articulate the ankle around the circle to produce a tangential force, but it’s just enough. It’s not a stiff ankle, but a stable ankle. And extraneous movement is simply energy leak. Stabilizing and recruiting muscular power in to the pedal. During the fit process, we ask the rider to hold the pressure we produce by pulling back on the wheel. This simple exercise provides insights on strength left to right, as well as how the rider stabilizes to produce power in to the pedals. The fit is the opportunity to help individuals connect the importance of the off-bike work to continue this on-bike improvement, in terms of fit, injury prevention and performance. In our fits, I think the value-added is the off-bike hip activation, hip and trunk stability, as well as mobility exercises we provide. With proactive off-bike work, cyclists will continue to improve their fits, performance and cycling experience. What differentiates our fit from others is that it is comprehensive and robust and constitutes more than simply manipulating the fit. Our fit empowers the athlete with the understanding of the off-bike, proactive measures they can take, to continue to improve the fit and performance. And we support the athletes in this objective by providing specific activation, mobility and stability exercises to accomplish it. During the fit process we also provide insights regarding our thoughts on maximizing pedal stroke efficiency. Whether you’re looking to ride injury-free or you want to set your own personal record, Silver Sage Sports and Fitness Lab helps people at all levels of ability. If you have questions about bike fitting or are just looking for advice, email us at jyoung@o2fitness.net. 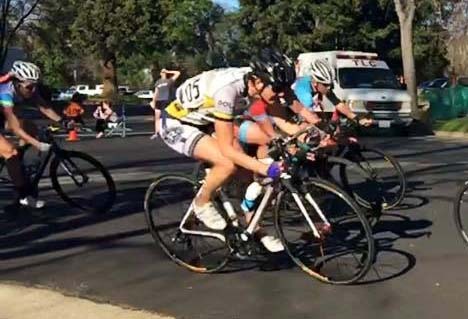 Contributed by Silver Sage Sports and Fitness Lab sponsored, Reno Tahoe Junior Cycling Team member, Drew Swall. 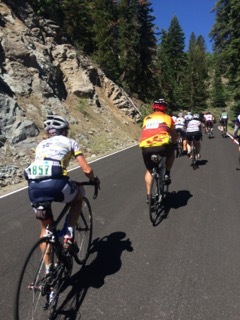 For the Reno Tahoe Junior Cycling team, the entire season has been building to this race. The National Championships. Taking place in Mammoth, California, Nationals was big. Not “Sea Otter big”, but big in importance. Sea Otter was big in that it was a showcase of tech and kit, bikes and products. Plus, the addition of road races. Nationals was massive in that it was what we had been working towards. It was pure, no distractions of showcases and demos. Yet in a sense, it is a showcase; a showcase of riders. Every rider there had been training all season for Nationals. The skill and strength that was seen at Nationals was astonishing. On Wednesday, Cat 2/3 15-18 combined raced at 8am, staging at 7:45. They would race three laps, each almost exactly 5.5 miles (according to Strava). Each lap opened with a short flat section and then quickly up a fire road. The rest of the course featured several short and steep fire roads, along with fast and smooth single track, finishing up with a technical downhill. The downhill incorporated several cinder block banked turns and drops along with a wooden wall ride. Wednesday evening the riders received a pleasant surprise, an email notifying them that the category 2/3 race results would be split into separate Cat 2 results and Cat 3 results. In Cat 3, Jackson Miers finished in 12th place and Drew Swall finished in 8th. In Cat 2, Dylan Syben took home a first place medal and Austin Smith placed 17th. In the Cat 2 women’s race, Camille Syben place 7th. On Thursday, Cat 1 races took place, The field was fierce. In Cat 1 17-18, Ian Meintjes took 39th place and Zach Waymire took 44th after crashing on the first lap. Tate Meintjes took 19th in the Cat 1 15-16 race. In the Cat 1 17-18 race, Meghan Kelley took 7th. Kate Kelley placed 6th in the Cat 1 15-16 race. Matt Nugent, racing in the junior category, place 25th. On Sunday, Ian Meintjes placed 4th in the Enduro. The Reno Tahoe Junior Cycling team performed with excellence at Nationals and will only improve as time goes on. One cold evening last December as I sat in front of my laptop, my thoughts turned to the Death Ride. It’s been remotely in my radar for a number of years though I thought I’d sworn it off. I’d been working with Julie Young, Head Coach of O2Fitness/Director of Silver Sage Sports and Fitness Lab, for the last few months and she was encouraging me to target some goals for summer of 2015. Death Ride, I thought? For those of you who aren’t familiar, the Death Ride, aka Tour of the California Alps, is a legendary 5-mountain pass, 129- mile, leg burner of a ride with a total of 15,000’ of climbing. Registration is limited to 3000 people each year and it fills up in two days. Just for the heck of it I clicked on their website to see when registration opened. And guess what? Registration opened that next day. I took this as a sign and decided that I needed to go for it. Sent a quick text to my husband who was in Chile on business at the time. “Wanna do the Death Ride next year?” I asked. Seconds later and without hesitation came the reply, “Sure.” Oh, oh–what had I gotten myself into? Now I should state that I’ve been riding for a lot of years. That said, I’ve never quite tackled anything of that magnitude. And I am, umm, well over 50 at this point: (that’s all the information I’m sharing on this topic). Have done a few centuries in the last few years, and some fairly big climbing days both locally and in the Dolomites in 2012, but never 15,000 vertical in a day. And never 125 miles in one day. I knew that I could do it, but I wondered, how torturous would this be? Would I never want to see my bike again? Over the next months Julie guided me though a program that included fast/hilly rides or hill interval work on Saturdays and longer endurance rides on Sundays. (Endurance on tired legs, she always stated). Weekday workouts were varied but structured and included slow frequency repeats for strength, intervals on flats and hills, as well as hip activation and hip/trunk stability. Not every week was perfect. A full time work schedule along with going back and forth between two homes presented it’s challenges, but I stuck to the program as best as I could and did my best to make up for any weekday shortcomings on the weekends. I fit in a few yoga classes to stay flexible. And just as important as the workouts were the rest days and rest weeks. As the event got closer, I was putting in an average of 170 miles per week and upping the ante on Sunday rides with more climbing and more distance/hours than previously. Fast forward to July 11, 2015. After a 3:30 a.m. wake up call, a light breakfast in our hotel room, a short commute to Turtle Rock and we were right on target for our 5:30 a.m. start. Weather was cool but beautiful. As we ascended Monitor, our first pass, I kept Julie’s words in mind. “Break the ride up into segments.” I had done so in my mind many times and now I was riding at my own pace, comfortably passing many and with absolutely no temptation to get into a ‘race’ at this stage. The descents were serene and relaxing—a chance to recharge. Took advantage of the fully supported ride to eat and drink frequently, stopping at least briefly at most rest stops. I had packed a full stash of gels just in case but honestly didn’t eat any of them, going instead for handfuls of chips, fruit, fig bars, and most memorably some amazingly delicious steamed and salted baby red potatoes at the base of Monitor. I was finding my groove by the fourth pass and ascended the backside of Ebbett’s easily, feeling great, passing many while still staying well within my tempo/sub-threshold pace. By 1:15 we had completed 4 passes and enjoyed a relaxed and somewhat jubilant lunch at the base of Ebbett’s Pass. We now had ridden around 80 miles, but still had nearly 50 to go with another 2900’ of climbing. This would prove to be the most challenging segment, after climbing 12,000 feet already. Still I knew at this point that my goal of completing five passes would be realized. The last 2000’ of climbing up Carson was no doubt the toughest part of the ride, but all of the training had paid off. I think particularly helpful was the practice of doing long often strenuous endurance rides on Sunday, which were always performed on “tired legs” after interval work on Saturdays. My body knew how to do this—it had been there before! Around 4:30 p.m. we reached the top of Carson and we were back to our car around 5:45, a little over 12 hours after we started. Feeling tired but happy, I thought about something that Julie had said many times. “When you’ve done your training, once you get to the event [whether it’s a race or an endurance event], you’ve done the work. Now you get to enjoy. And you know what? She was right.